This compelling Documentary moves beyond the spotlight and past the attention-grabbing headlines to give pop superstar Chris Brown a chance to tell his own story. New interviews with the international phenomenon reveal long-awaited answers about his passion for making music, his tumultuous and much publicized relationships, and the pitfalls of coming of age in the public eye. 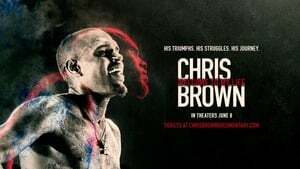 Also included is new concert footage, behind-the-scenes access, and special interviews from Usher, Jennifer Lopez, DJ Khaled, Mike Tyson, Jamie Foxx and others.